Pope Francis shocked millions Tuesday when he revealed for the first time that the Vatican is investigating claims that priests have sexually abused nuns, and that, in at least one order in France, the priest in charge kept religious sisters as “sexual slaves” for himself and other affiliated priests, the Associated Press reports. The Pontiff spoke with reporters aboard the Papal plane en route to Abu Dhabi in the United Arab Emirates, where he is due to become the first Pope to visit that nation’s increasing Catholic population made up mostly of guest workers from the Philippines and from India. The issue of priests abusing nuns is not new — Pope Francis admitted as much while speaking to reporters, acknowledging that much of the effort taken to investigate and punish the French congregation happened under his predecessor, Pope Benedict XVI. “Asked if any universal norms might be in the works to tackle the problem — as has been done to handle cases of clergy sexual abuse of minors — Francis implied that the priestly abuse of nuns was still being dealt with on a case-by-case basis,” the AP reported. In the United States, despite years devoted to uncovering and handling cases of priestly sexual abuse by minors, members of the Church heirarchy including former Cardinal Theodore McCarrick, have been accused of sexually abusing young priests and seminarians as both the Church’s American leadership and the Vatican stood idly by. Over the summer, Archibishop Carlo Maria Vigano accused Pope Francis of knowing about McCarrick’s transgressions and rehabilitating his image within the Vatican heirarchy, even promoting McCarrick to the position of senior advisor to the Pope, upending longstanding restrictions placed against McCarrick by Pope Francis’s predecessor, Pope Benedict XVI. 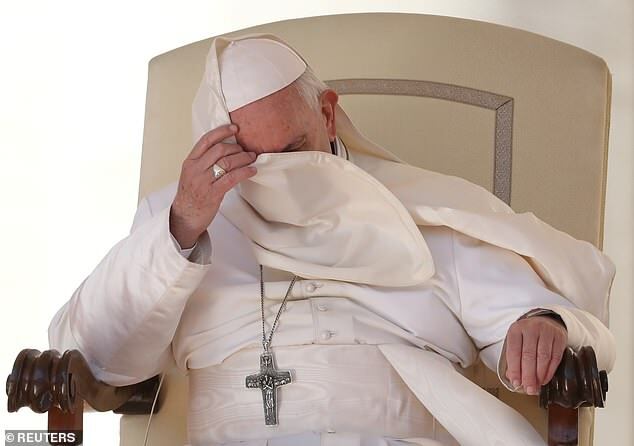 The Pope has also been accused of turning a blind eye to priestly abuse in his home country of Argentina, and even smearing an abuser’s victims in order to avoid scandal according to Catholic publication, CruxNow. Efforts at internal reform also appear to have stalled. The United States’ bishops conference presented a plan to tackle abuse within the heiarchy of the Church to the Vatican late last year, but the Pope refused to sign off on the plan, and did not allow the bishops to discuss how to proceed against abusers within their own ranks. A January meeting of U.S. bishops came and went without any discussion of the sexual abuse problem dogging the Church. Worse still, acccording to CNN the Vatican has downplayed expectations for a highly anticipated global meeting of bishops slated to take place in February, where they were supposed to discuss the sexual abuse scandals and formulate a global plan of attack. Instead of handling the crisis head on, the Pope told reporters last month, the conference is now designed to build “awareness” among bishops who are unfamilar with the issue. This entry was posted in Religion and tagged Catholic, Pope on February 8, 2019 by Bone Fish.